This past Monday, at the close of the IAAF Council meeting a news release was issued. This release included IAAF rule changes that are to take immediate effect. The following is the edited release. Included in a list of rule changes, the IAAF Council has reinstated the ‘60-second rule’ for athlete attempts in field events. 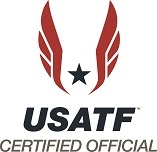 This announcement by the IAAF may cause confusion with officials and coaches conducting competition at the NCAA level. Field Event timing for the entirety of the 2019 NCAA Outdoor Track and Field season will remain as written in the chart located in Rule 6.1-6 on page 84 of the current season rule book. If questions arise please contact me at the information listed below.